After Obama agreed to sit down with Iran this weekend, one of Ahmadinejad’s top nuclear negotiators, in an exclusive interview with The Daily Beast, takes a step closer to the table. President Barack Obama’s agreement this past weekend to have the U.S. join talks between Iran and six major nations next month immediately appeared stillborn when Iranian President Mahmoud Ahmadinejad said his nation will not stop enriching uranium and will not negotiate over its right to a nuclear program. “We have not made any restriction on which issues should be discussed first, which next,” says one of Iran’s chief nuclear negotiators. Soltanieh provided an in-depth look at how the Iranians view negotiations. “We cannot prohibit anybody if they want to talk about their concerns or even their area of interest,” he said, speaking to me in his plush high-tech office in Vienna, where the IAEA is based. He designed the office himself, in a classic French style. He proudly pointed out matching computer screens, backed in mahogany, which could lie flat to fit almost unseen on his desk, or be raised to a working position. Like those screens, Soltanieh vacillated between being open and closed. He insisted that the nuclear issue must be resolved at the IAEA, which is a technical agency, and not at the U.N. Security Council, which has punished Iran with three rounds of sanctions to get it to suspend uranium enrichment. In my interview with him, Soltanieh was adamant that Iran would not accept the precondition that it must freeze or suspend uranium enrichment. 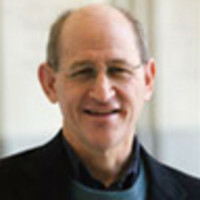 While the United States has set no preconditions for a first phase of talks, it expects there to be a freeze of enrichment at current levels during a second phase, in order for Iran to show it is ready to negotiate seriously, and then total suspension of enrichment for a third phase, during which the real deal will be discussed of giving Iran trade benefits, such as lifting U.S. sanctions, in return for it reining in its nuclear ambitions. What if [the P5+1: five permanent U.N. Security Council members plus Germany} first want to discuss, before anything else, the unresolved questions (about suspension of enrichment, Iran not cooperating with the IAEA on investigating possible atomic military work)? As soon as you said first or second, it means imposing restrictions or conditions. When people sit down in a civilized manner, they can start, they can talk whenever they want. They could decide on a sort of agenda and timeline, which (item) would we do first, which one next. We have not made any restriction … on which issues should be discussed first, which one next. This is the most pragmatic approach … All issues on the table and these issues are broad enough that everybody will feel comfortable enough to talk about. But the P5+1 are waiting for a confidence-building measure from Iran …. Not in order to proceed with the talks…. Anything, any sort of ideas which gives the notion of preconditions for starting the engine, this is unacceptable of course. We have said we cannot accept any precondition. All countries concerned could sit together with the political will, they can start talking and negotiating and discussing all issues of concern and interest from the start. We cannot say that Iran should do first something in order to make confidence in other to pave the way, in order to start the negotiations. This is again precondition. But they still have [said that no preconditions] would be phase one. Phase two would be the freeze and phase three would be suspension. That is what I’m saying. The problem with their package was, as I said, from the beginning one could see that they are putting conditions. I’m talking about their proposals. I don’t know about their reaction yet (to our proposal). We don’t know yet therefore I’m not judging, It’s not fair. Don’t quote me, I’m not judging about their reaction yet. I am saying that this (Iranian proposal) package is the most logical, pragmatic approach with the widest scope of the areas and this is the opportunity they have to seize this opportunity to start without any preconditions, sit down at the negotiating table and start on the basis of this package and talk and negotiate and in order to find at the end of the day an ultimate solution…. This doesn’t mention at all the concerns about weaponization in Iran’s program, the U.N. Security Council resolutions calling for suspension of enrichment, all the issues that they say are essential. I said these issues and these items in this section is clear enough that all seven countries could discuss, raise their interests and concern about this area, anywhere, in any part of the world. Any part of the world, even other six countries could raise the concern about nuclear energy or non-proliferation in other parts of the world in this negotiation. We are trying to deal with the global issues in this kind of negotiation. But the first thing that has to spoken about are these questions about Iran’s enrichment. I don’t say which one first, which one next, I said. There is no condition here. We have not put any condition, which one first, which one next. This is very, very positive constructive approach. We didn’t say that you should talk about the, for example, economic cooperation first and then nuclear energy next. Or nuclear energy first, economic next. This is not right. We just leave it open for the seven countries to decide what kind of priority, or what kind of arrangement they can make during the discussion and negotiation and that’s it. So you’re saying if you sat down with [the P5+1], they can bring up immediately that they seek suspension. I did not say immediately bring or they could not bring immediately. … We say if there is any question whatsoever, we deal with it with the IAEA and we settle it down in the IAEA, I’ve said it again and again. But I’m saying that when I’m reading the text, reading this package (the Iranan proposal for talks) I think that there is no restriction above or no priority of issues or restrictions of items or whatever. Whatever is reflected in this package, all seven countries, IAEA and seven countries could discuss…. If any of those parties have a question they can raise the question, then we will decide how to deal with this question…. You’ve had a lot of unrest in Iran … Have there been internal politics in Iran which have affected the nuclear issue? Not at all, not at all on the nuclear issue. The whole world has watched and have observed the reality that before the election, during the election and after the election there is one solid voice about our position regarding our inalienable right for peaceful use of nuclear energy. None of the candidates, not during the election campaign, nor after the election, nothing. The nuclear issue is something else. It is a national issue and we are solid in that work and we have already said before that we are preparing a package, even before the election. Therefore now it is prepared and ready and we are announcing it. That’s it. Do you think that there is any difference between the Obama administration and the previous administration in how they are going at this issue? We have to watch and judge whether these slogans of change will be translated into action. … When I talk of alleged studies and allegations [about possible Iranian nuclear military work]… the world, and including of course Iran, is watching whether the Obama administration is following its interactions with the international community and Iran on the basis of Bush’s allegations or not. Because whatever has been the allegation … belongs to the Bush administration … Therefore if they really want to prove that there is a change and that this administration has a different approach … they should not [base] their interaction with other countries, including Iran in the IAEA, on the basis of Bush administration allegations. Because these allegations, and this laptop issue belongs to the Bush administration.